Click on map above for printable PDF version. Click on image above to view the entire interactive map. The map linked above can be used for real-time navigation in the Google Maps app on your mobile GPS-enabled device. 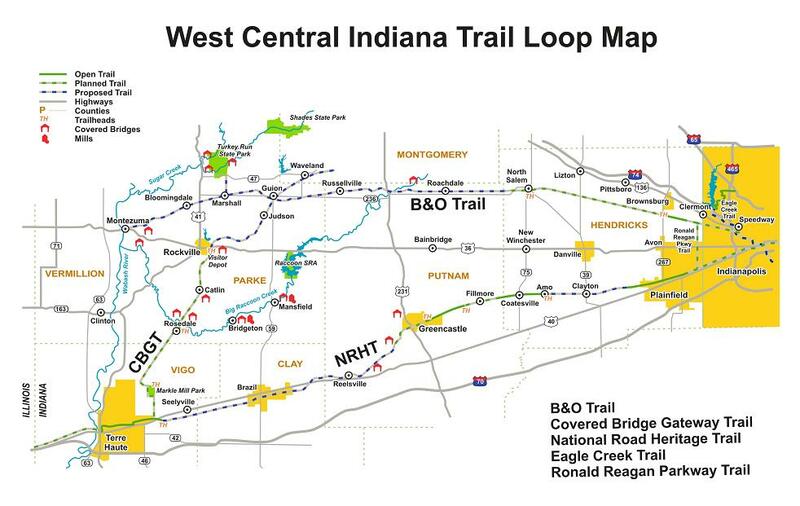 Note that the trail segments that appear in light blue are not yet in the Google Maps database. To set up the first time, use the steps below. After that, you only need to click on the map above or open it from "Your places" in Google Maps. This will not provide automatic turn-by-turn instructions, but will be overlaid on the background map, so your location relative to the defined route will be easily visible. 1) On your computer or Android device, click on the map above while signed in to your Google account. 2) If prompted "Open with", click on "Google My Maps". 3) On your mobile device (Android or iPhone/iPad), open the Google Maps app. 4) In the top left part of the screen, click on the 3 horizontal lines in the left end of the Search bar. 5) Click on "Your places". 6) Under "Your places", scroll to the right and click on MAPS. 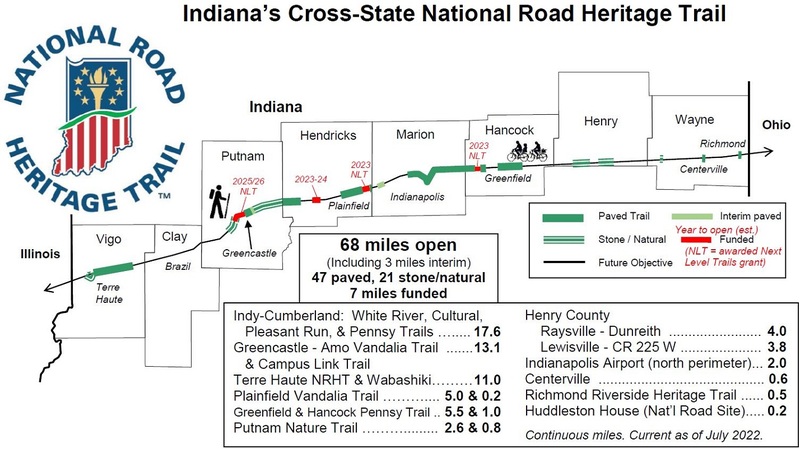 7) Click on "NRHT - cross-Indiana". 8) All of the NRHT segments will now be visible on the navigation map. Please let us know (info@nrht.org) if you have any questions or problems with this process.